It is believed that expats and foreigners move to Mexico not because of career change, but more of a personal change in lifestyle. The lower wage is never an issue because living in Mexico is “a lifestyle for less”. Determining the cost of living is always an individual concern. Living extravagantly differs from living a reasonable lifestyle. You can live from $1,200 to $3000 reasonably in Mexico. Compared to US and Canada, the cost of living in Mexico is relatively low. Low cost of living means easier lifestyle, and with sufficient income, expats can afford household help and a nice home. Canadians and Americans find travelling or moving to Mexico easy on the pocket, as they only have to travel by land, or drive by car to cross the borders. Although Mexico offers a luxurious life to the affluent, half of the population is poor and some 20 percent suffer intense poverty, especially in the rural south. Furniture and modern appliances can be bought easily at an affordable rate. Dining in a decent restaurant can cost US$15 to US$25. It is advisable to be cautious of what you buy in Mexico; there are high end goods that are available, although legitimacy is questionable. Expats and foreigners can buy properties in Mexico. Ownership of land falls within two categories- the interior of Mexico or the restricted zone: 50 kilometers (31 miles) of the coastline, 100 kilometers (62 miles) of any Mexican border. The real estate law (known as fideicomisos) states purchase cannot be outright; instead a real estate trust must be established. A bank must act on their behalf. Expats can contact a licensed local attorney for more information, but be cautious. Real estate transactions in Mexico should be assisted by a real estate company, lawyer, bank and public notary. Annual property tax can range from US$50 and $200. Due to lack of competition, electricity cost is high. Compared to US and Europe, communications services such as landlines and mobile phones are priced higher, but basic commodities like food are affordable. 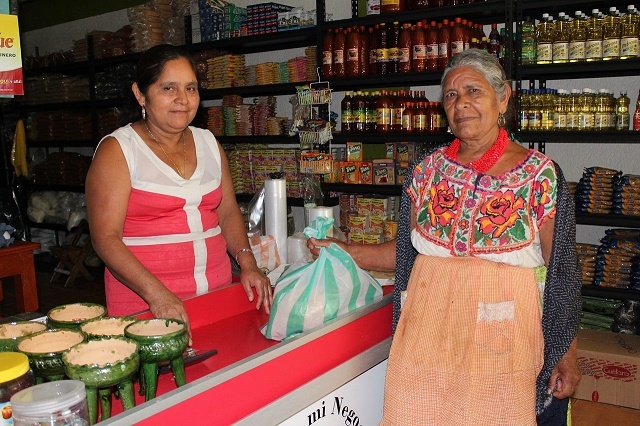 In Mexico, domestic help is affordable. A maid or gardener can range US$2.50 to US$3.50 on an hourly basis. Known for its agriculture industry, and great produce like bell pepper, tomatoes, corn and beans are sold at a low price or wholesale on markets at major cities. Most of the residents buy bottled water because of the poor state of the water system in Mexico. If you want to save on clothes, shop in flea markets and street vendors. Renting a car range from US$50 to US$60 per day with a full tank. Owning a car costs slightly more than of the same model used in the US. Lake Chapala’s cost of living is the cheapest in Mexico. If you want to visit the place, take a bus and fare will only cost you US$0.64 (equivalent to $7 Mexican pesos).